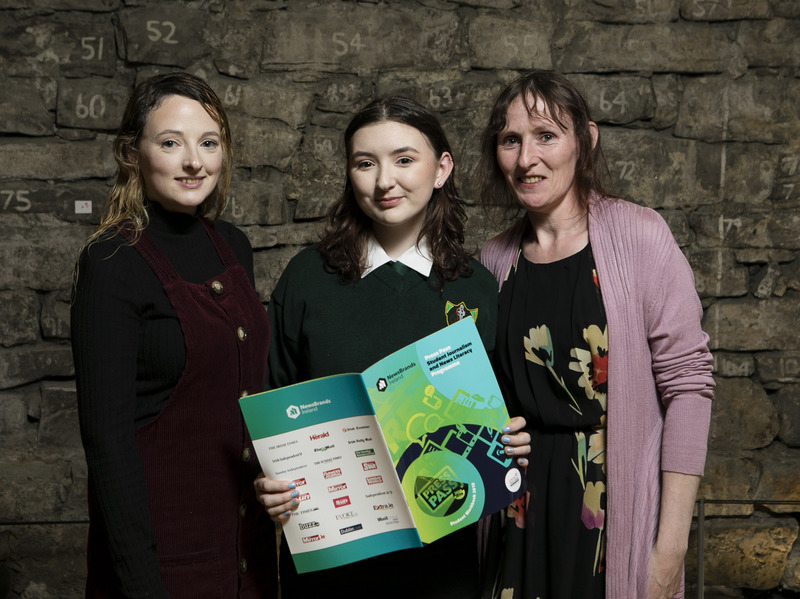 Donegal ETB would like to congratulate Moville Community College Transition Year student Jessica Moir who has won first place in the Features category of the national NewsBrands Ireland Press Pass 2019 competition for her article on Teenage Cancer. Jessica’s entry was one of 17 out of over 10,000 entries from Transition Year students from across Ireland which won at the awards. You can read her winning entry below. 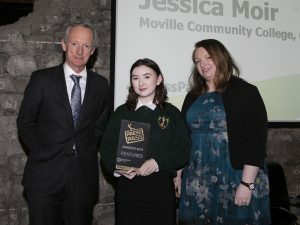 Jessica pictured with Vincent Crowley, Chairman NewsBrands Ireland (left) and Ciara Leahy, Irish Farmers Journal and member of the Press Pass judging panel (right). Jessica with sister Nicky (left) and Mum Linda (right). 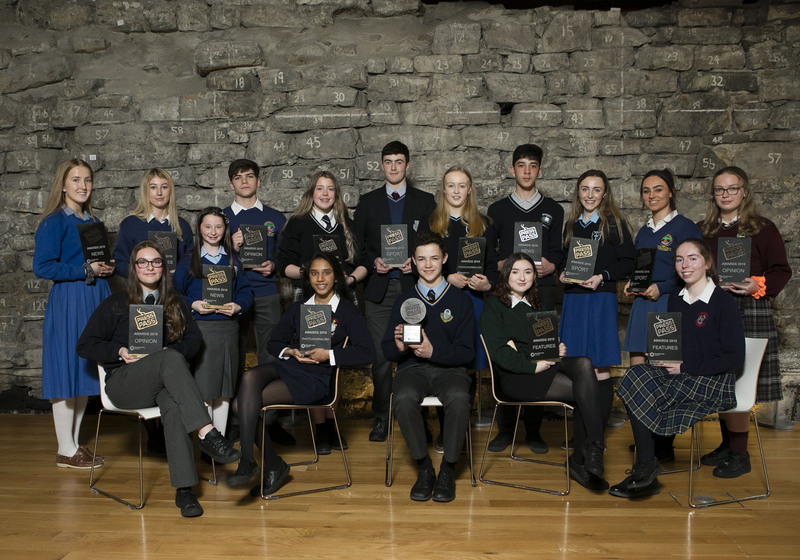 All the winners of this year’s Press Pass Awards. Teenage cancer, now don’t worry this isn’t another sentimental memoir of another young person taken too soon, well maybe it is in a way, this tells how the old me died the minute my oncologist said those dreaded words, that nobody should ever have to hear: “You have cancer; Hodgkin’s Lymphoma stage four”, which in case you don’t already know is the highest stage that you can get… It is scary, I know; now just imagine being fourteen and it is just a few days after Christmas 2016. I had never even broken a bone before, now I had a hollow wire in my heart and a deep incision just above my left collar bone from a biopsy performed on the lump which was on my neck. It’s funny how one week can change your whole life forever. It was the first time I had ever seen my dad cry, I didn’t even cry that much myself, because of course when you find a lump, your brain automatically begins to self-diagnose or else you google it, which is never, I repeat, never a good idea. It’s almost as if I wasn’t even surprised, like a part of me just knew that something really bad was going to happen. Hodgkin’s Lymphoma is a cancer of the lymph nodes, which are the little bumps you feel below your ear when you have a sore throat or an ear infection. My lymph nodes had been fighting an infection when the cells become cancerous and developed into tumours. I had two tumours on my neck and multiple tumours in my abdomen, basically there was a war going on inside of my body. Everything I ate was being used to help fight the cancerous infection, so I lost loads of weight and began to have night sweats. Eventually my body was so busy fighting the infection; it wouldn’t even tell me when I was hungry. As a result of this I lost my appetite completely and I began to get severe back pain. I did not realise at that point that these are the classic symptoms of Hodgkin’s Lymphoma. In December 2016 I noticed the small lump I had spotted days before, but had casually disregarded, had grown significantly larger. I went to my local doctor on the day before Christmas Eve and was sent straight to Letterkenny University Hospital for blood tests. I think the doctors knew straight away but no one would tell me anything, however they did tell my parents. I stayed at Letterkenny hospital overnight; waking up on Christmas Eve in a hospital alone but surrounded by doctors and nurses is quite terrifying. This was the beginning of my worst Christmas ever. Treatment wasn’t all that bad; I had amazing nurses who made me feel confident and comfortable, even when I looked like an alien being poisoned by chemicals. I kept smiling, laughing and tried to stay as positive and strong as I could, not for myself but for those around me, even when I barely slept for a full week, because it felt like my legs were being torn to pieces. I spent many nights screaming in agony, taking boiling hot baths at one a.m. aren’t quite as relaxing as they may sound and even when I felt like giving up, because every now and then the sickness and pain became too much, I still smiled, because being negative in a negative situation doesn’t make things any better. 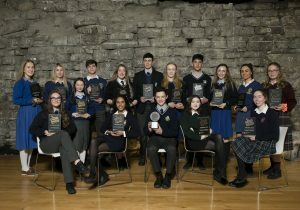 So I learned to joke about it, I remember one time in Maths class I was sitting next to my friend when she found a hair in her pencil case, she showed me it and my response, as a person as bald as Voldemort was, “Well it’s certainly not mine anyway!” We spent the rest of that class holding back tears of laughter, although that may seem insensitive and inappropriate. Sometimes laughter is the best medicine. It’s important to joke about and not be serious all the time because then people won’t have to walk on eggshells around you or treat you like a time bomb about to explode. Yes the road to recovery was a tough one, but in the end it was worth it, without this horrible journey I wouldn’t have become the person I am today. Cancer taught me to live everyday like it might be my last. Everything happens for a reason and everything that happens teaches us important life lessons, we should always take the good out of a bad situation. This entry was posted in Moville Community College. Bookmark the permalink.